The kids were bugging me while I was trying to prune the trees. Kept grabbing sticks and fighting and just plain being young boys. 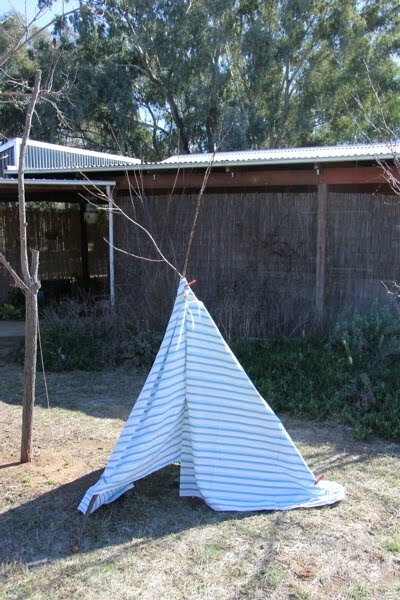 So to redirect that energy I lashed some of the pruned branches together, threw an old sheet around it and voila teepee fun and I could finish my pruning.